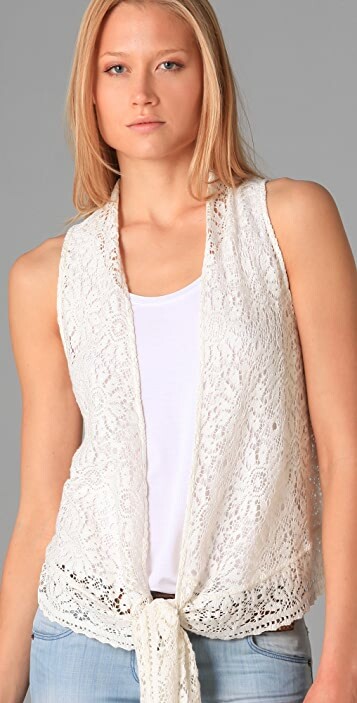 This lace vest features a shawl collar and a tie at the extended front hem. Sheer. * 40" long, measured from front shoulder. * 21" long, measured from back shoulder. Jen's Pirate Booty embodies the true meaning of gypsies, free-spirited individuals with nomadic or unconventional lifestyles. Founder Jen Rossi, buyer for the popular SoCal boutique Planet Blue, has traveled the world gathering bits and pieces of different cultures, weaving them into her very own personal style: part gypsy, part boho, part pirate. The result? Carefree pieces that are as spontaneous and fun as the lives we lead. 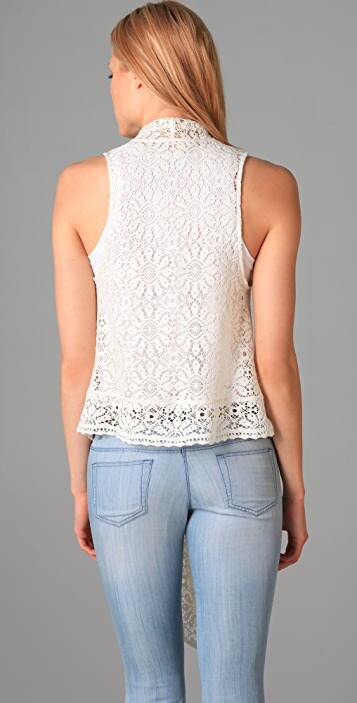 Just got this in black and I absolutely adore it! 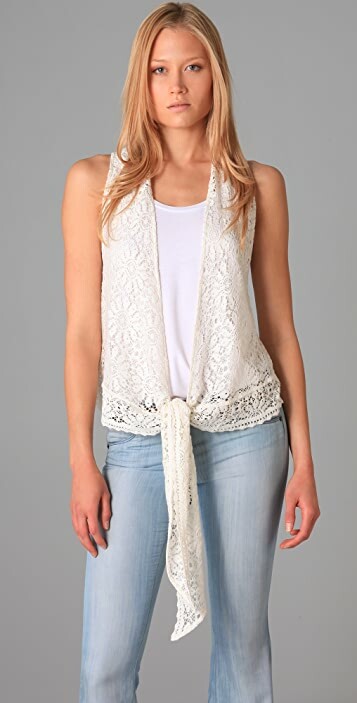 So cute and carefree looking, flattering. I will get a lot of wear from it!